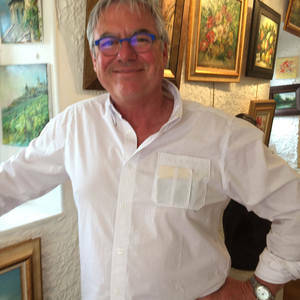 French painter since 40 years, born in Aubagne (côte d'Azur) in 1953. Méditerran Barbizonand Montmartre school. Classic inspired and contemporain realisation. Oil on canvas, watercolours, sculptures. Living in Burgundy (France), paintings showed at my gallery in Vézelay.